One of the most notorious scam shoes retailers we know is Shoespie. The domain was created in Beijing in 2013, and the company has been scamming thousands of customers ever since. In other words, it is not a legit website. Here are four reasons why you should not buy shoes from this online retailer that is based in China. 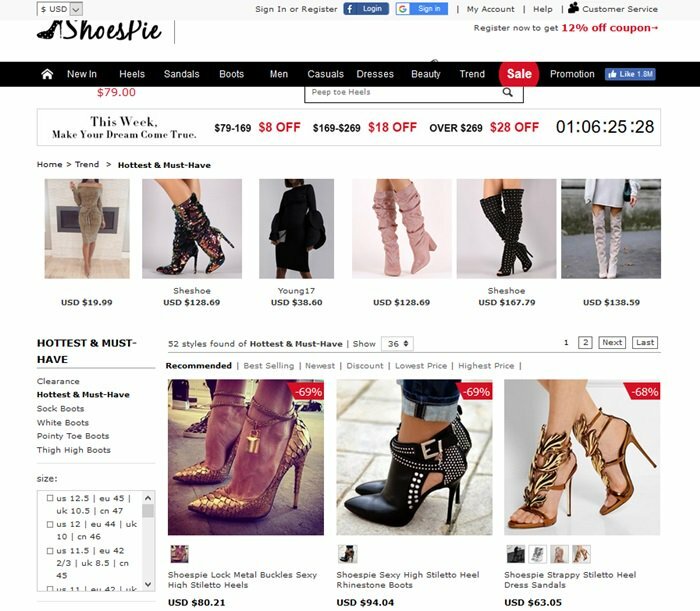 Like many other fraudulent shoe stores, Shoespie steals images of popular shoes from other websites. The site doesn’t actually have the shoes that it claims to be selling. If you receive a pair of shoes from Shoespie, it will not be the same pair featured on the website. For example, the strappy stiletto sandals featured below are actually Giuseppe Zanotti‘s “Coline” sandals, which retail for $1,595 at Neiman Marcus. The image itself was stolen from the Italian shoe designer’s website. While we haven’t been able to identify the rhinestone boots, the lock metal heels are from Tom Ford. 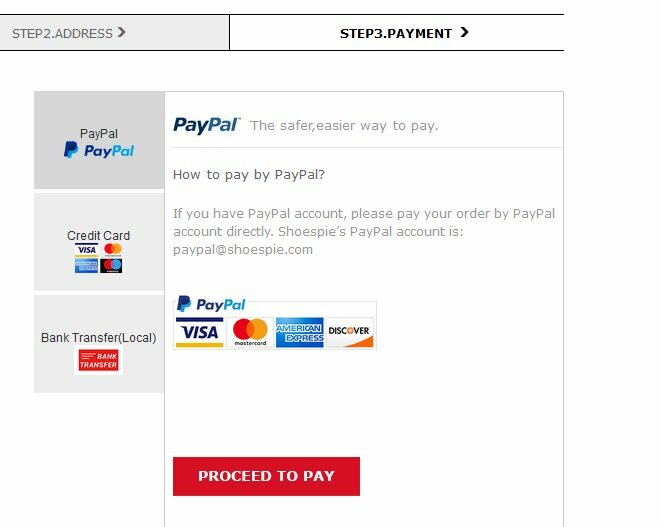 While Shoespie shows images of Mastercard and VISA on its website, you can in fact only pay via PayPal and bank transfer. The reason is that credit cards offer fraud protection, and they won’t work with websites like Shoespie. If you send your payment by bank transfer, you’ll never get your money back. However, if you pay via PayPal, you may qualify for PayPal’s purchase protection if you file a claim within 180 days. If you receive a product from Shoespie, it will be nothing like the stolen product image shown on the website. 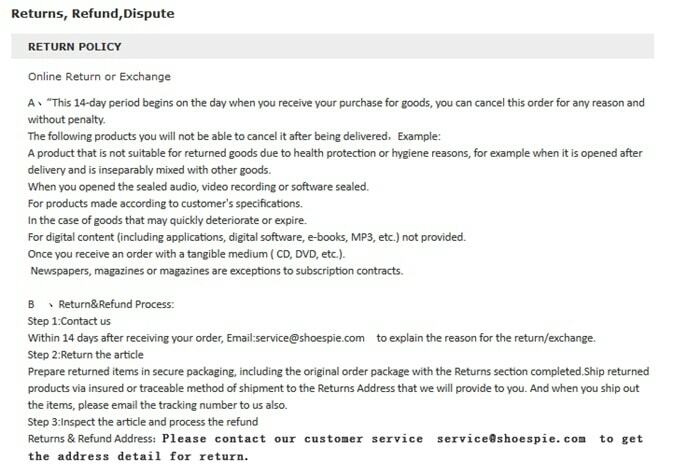 While the Chinese website pretends to offer returns/refunds within 14 days after receiving your order, the return policy is convoluted and hard to understand. While Shoespie has relatively positive reviews on Sitejabber and Trustpilot, the majority of the positive reviews are left by fake accounts. 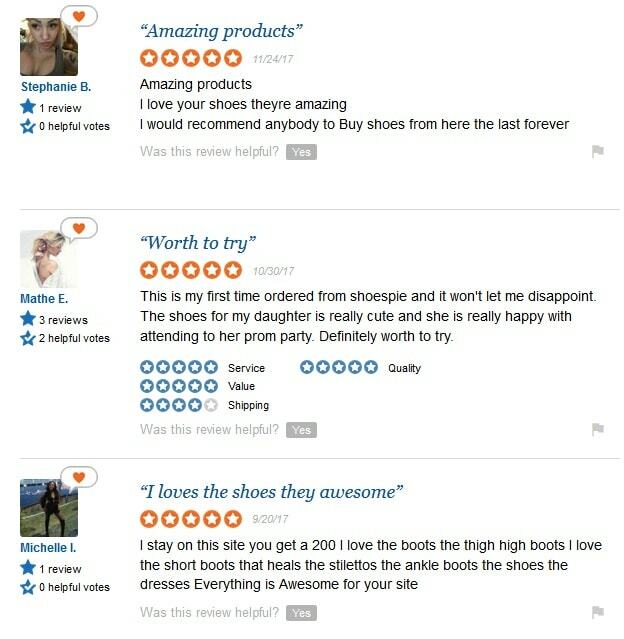 In 2014, Trustpilot removed several hundred fake Shoespie reviews, but many more — mostly written in poor English — have been added since then. Below are some examples from Sitejabber. If you still have questions, check out Alexandra’s video review below. She made a purchase from Shoespie and was not happy with the heels she received several weeks after placing her order. Don’t miss our shopping guide showing how to stay away from shoe scammers!